A cat can sleep with one cat one day and another cat the next day and nobody gets jealous. This rule does not apply to humans. 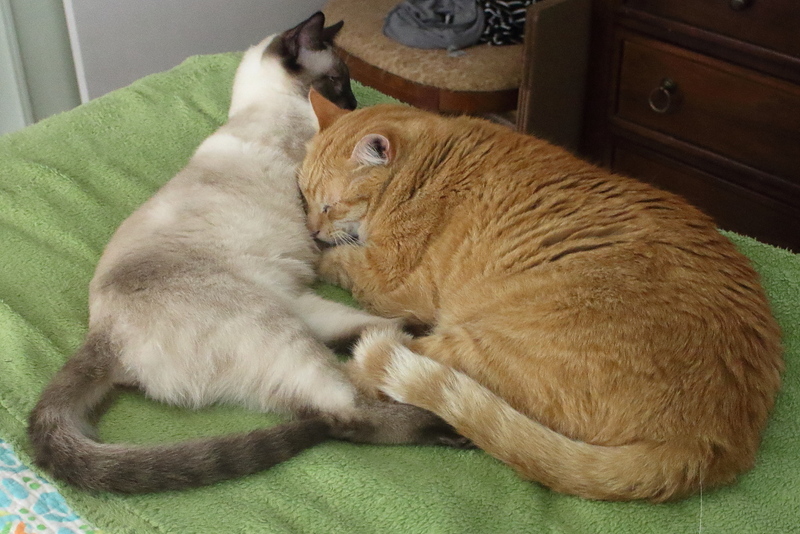 This entry was posted in Uncategorized and tagged Cats, cute, jealous, nap, sleep on March 3, 2017 by Charles Huss. Oh yeah! My human gets a little jealous when she sees me cuddling with the patients during my therapy cat visits… because I don’t do that with her. Humans are jealous creatures. But, truth be told, Chris gets jealous when someone else is on my lap. Chris is special, as we all already know. oh that photo is precious!!!! Thanks. Cats are so cute when they nap. Hahaha… That’s a good one. Cute! Though there’s not much sleeping around at our house.